RK Classes is the Institute where students make their subjects very strong especially Maths and Science. and get good marks in Both subjects. This institute is running by Rahul sir who is an engineer and done their engineering from Devi Ahilya Univ. Indore. For Class 10th and 12th Board students, its my belief that they will get more than 85-90%. in Maths, Science, and Physics. So please try once especially for Board students to fulfill their dream of getting topper among their friends. 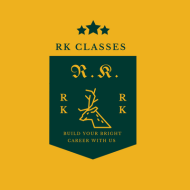 RK Classes conducts classes in BSc Tuition, BTech Tuition and Class 10 Tuition. It is located in Annapurna Road, Indore. It takes Regular Classes- at the Institute.